Budget Trail 2 in timber - installed onto grass - with a bespoke Traverse Wall. 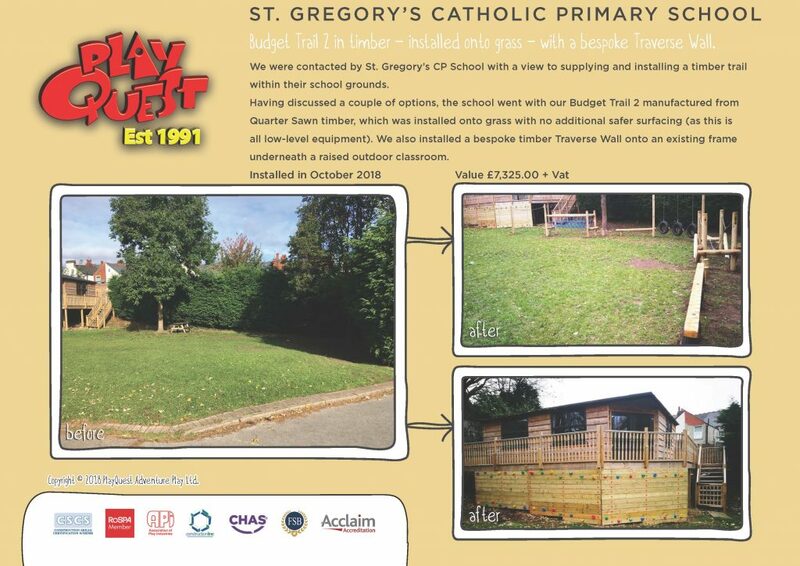 We were contacted by St. Gregory’s CP School with a view to supplying and installing a timber trail within their school grounds. Having discussed a couple of options, the school went with our Budget Trail 2 manufactured from Quarter Sawn timber, which was installed onto grass with no additional safer surfacing (as this is all low-level equipment). We also installed a bespoke timber Traverse Wall onto an existing frame underneath a raised outdoor classroom.